I'm not going to lie. Having two kids is often more difficult than having one. By the end of so many days, I can barely keep my eyes open long enough to read one magazine article, let alone devour something of pop-culture value and then report its worth back to you, my fine and faithful readers. That said, it's time to catch up with a few artifacts I've explored over the past weeks. And, I'll try to start blogging more regularly again after a pretty unimpressive summer collection of quantity and quality. 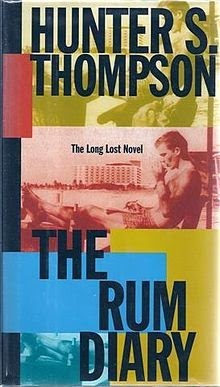 The Rum Diary is the first Hunter S. Thompson I've read since Fear and Loathing in Las Vegas back in college. The "long lost novel" was apparently written in the 1960s and not published until 1998. It is basically the tale of Hunter himself (under the name Paul) going from New York to live and work at a newspaper in San Juan, Puerto Rico. He carouses with the lowlifes who work at the paper and risks life daily drinking and fighting and romancing in a foreign land. It's the epitome of gonzo journalistic writing and serves as an underrated highlight of Thompson's prodigious career. Johnny Depp found the manuscript and had it published, then starred in the movie, which I should now go see for the first time. Enough Said is a small rom-com that gains weight by the very fact that it was about the last thing James Gandolfini filmed before his death. 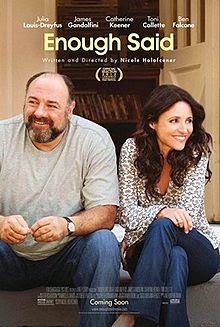 Julia Louis-Dreyfus seems a little less great than usual in the film, despite very positive reviews. The couple wins me over by the end as they suffer a series of setbacks while firing up an unlikely romance, but I still was a little disappointed and not that impressed with the overall story, general awkwardness, and pacing of this film. 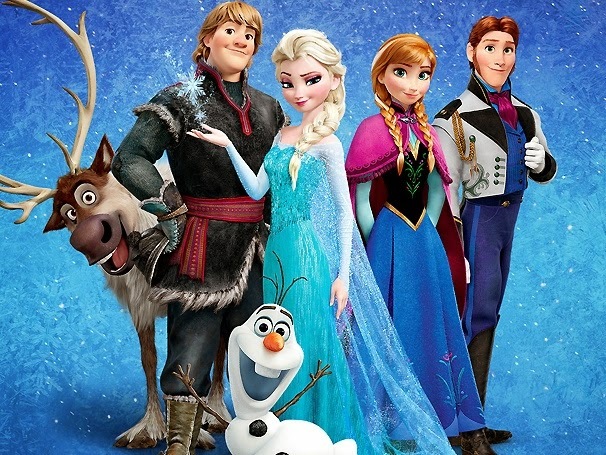 Frozen is of course all the rage with the youngsters, but I was bored silly, wishing I could rematch The Lego Movie, The Jungle Book, Snow White, or any other kid movie. Tip of the hat to Disney for making it about the importance of family instead of the usual fare of the importance of the prince. But if I have to hear someone else humming or singing "Let It Go" again, who knows what I'll do. Bad music in a hack of a story. It doesn't help that I don't particularly like any of the actors behind the voices. Way overrated and hopefully will lose some of its runaway-hit momentum as soon as some better Disney films are released.